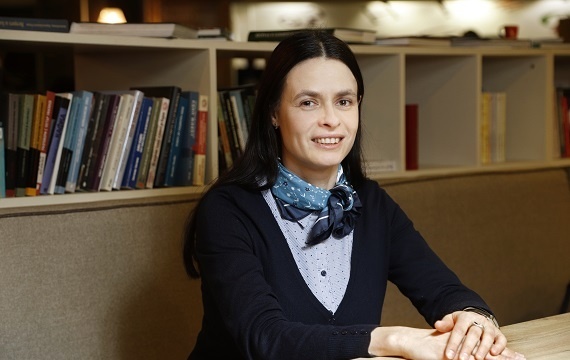 In an interview for Eva magazine, AUBG Provost Emilia Zankina talks business, gender equality and executive programs that build leadership skills. 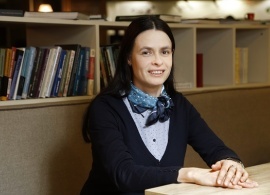 Ms. Zankina, one of Europe's most renowned business universities - SDA Bocconi, a partner of AUBG, has a laboratory for 15 years now that examines women's needs in the context of gender equality and works on developing training programs that are designed specifically for women. What are the trends regarding gender equality? The trends are mostly positive. On one hand, we have more women in more sectors holding management positions. On the other hand, men in these sectors are increasingly more open to the idea of hiring women and are more supportive of women. These two trends are interconnected, of course. The society’s view on the role of women is crucially important for the opportunities that each woman has. Women need knowledge and professional qualities, but above all, they need support and trust from their fathers, spouses, colleagues, sons, and so on. Public attitudes can impose a "glass roof" that prevents even the most ambitious women from achieving their professional goals. Therefore, when talking about providing opportunities for women, we need to talk about educational programs that provide not only professional knowledge, but also emphasize the importance of building confidence, self-esteem, creativity, initiative and innovative thinking as well as leadership qualities. Educational campaigns and initiatives aimed at changing the stereotypical thinking of both women and men are equally important. What is the gender balance in the MBA senior management programs at SDA Bocconi in Milan and Bulgaria? Unfortunately, in both countries, the programs are dominated by men, as is the trend in business as a whole. What is important is that we see increasingly more women entering business and business programs. In recent years, we have many examples of this, especially in the financial sector in Bulgaria. Such women are Petya Dimitrova from Postbank, Violina Marinova from DSK Bank, Maya Georgieva from First Investment Bank and many others. This is very encouraging because we not only see more women in these traditionally male professions but also women who are incredible professionals with proven success and who enjoy respect and recognition in the sector and beyond. It is very important that we have such role models. The change is slow and painful, and they are the pioneers and wrestlers who make it possible and who help little girls have big dreams. When it comes to our programs, we are glad to say that there has always been a good number of women among the participants (between 20-30 percent) and above all that they are performing brilliantly. We strive to increase this percentage and to have even more balanced programs when it comes to gender representation. At the beginning of this year, you launched the second cohort of the Executive Master in Finance, Banking & Real Estate in partnership with SDA Bocconi. What opportunities does it offer to women in leadership positions and entrepreneurs? The opportunities are countless. In this case, we have women in the program who hold high positions in some of the largest banks. We expect that the program will raise their qualifications and allow them to move up the career. It will also earn them even more recognition and respect among their colleagues. The program also allows managers and entrepreneurs to strengthen their knowledge in the financial sector, which would make them better at work. The program will improve their strategic and planning skills, and provide financial security for their projects and initiatives. In the past cohort, we had several women in management positions outside the financial sector. I think the program gave them very important and necessary knowledge, as well as the confidence that they can manage all aspects of their companies. We also had an entrepreneurial initiative- two of the participants created a new company during the program. They are not women but this example says a lot about the opportunities that the program provides. How does the program align with the needs and busy schedules of senior managers? The content of the program is one of extremely high level and this should be expected from institutions such as SDA Bocconi and the American University in Bulgaria. The courses cover a wide range of topics not only in the fields of finance, banking, and real estate. We emphasize leadership, entrepreneurship, and innovation. Above all, it is very important for us to educate ethical leaders. In the financial sector, this is of utmost importance. Professional qualities and knowledge are nothing if the leader does not have the necessary moral responsibility for society and the sense of duty. We look at our alumni as people who play a key role in the region's economy and we take this responsibility seriously. We know that our students work in a very tense atmosphere and are very busy and we have created the program’s schedule with that in mind. The courses in the program are taught every three weeks within one year with activities on Thursday night and all day on Fridays and Saturdays. This allows the program participants to balance professional and personal responsibilities and even have a well-deserved Sunday break after the intensive course. The program is intense and challenging, but not impossible for people in high positions and with a huge load of obligations. Our experience shows that the careful selection, the good planning of the program and the distribution of the material and tasks, and the administrative support that we provide make this challenge not only possible but also a pleasant and unforgettable experience. The first cohort registered a hundred percent success rate and all participants completed the program. I expect the same from the second cohort. In what ways can students fund their education? On one hand, we work with several banks that fund their employees’ education. In both the first and the second cohort we have several participants whose education was funded by their employer. This is very encouraging because it says a lot about the companies’ serious attitude towards their employees and is an example of a sustainable strategy for retaining and developing talent. As you know, today there is a shortage of staff in all sectors, but it is particularly visible when it comes to the search for highly qualified professionals. In this context, companies must actively struggle to retain their most valuable employees. This does not only mean raising the salaries, but also implementing a number of other measures. Investing in education and continuous training is one such very important tool that motivates employees and contributes to the company's development. On the other hand, we offer preferential funding for program participants. This is a unique opportunity we provide thanks to the good relations that we have built with the banking sector. This opportunity is not on the broader market, it is provided exclusively to the participants in the program. It is very important for us that students do not have financial obstacles and we strive to help all potential candidates that have the qualities to enroll in the program. Although women are often underestimated in key economic developments, they contribute significantly to the development of business and the global economy. According to the National Statistical Institute data, 32 percent, or a total of about 60,000 companies in Bulgaria, are run by women. Since 2010, there has been an increase of nearly 50 percent in the number of female business owners. The majority (67 percent) of female entrepreneurs in Bulgaria are aged between 30 and 49 years. A large proportion of female entrepreneurs – 49 percent - are in the trade, 43 percent in manufacturing, 39 percent in services, and 16 percent in the public sector, followed by agriculture, healthcare, and crafts. Although the role of women as managers and business leaders in Bulgaria is still neglected by society, they are the preferred managers, the NSI polls show. Nearly 67 percent of women and 52 percent of men prefer to have a female manager. The reasons - "women are more disciplined and more loyal than men and less corrupt". Nearly 85 percent of female entrepreneurs have higher education. 37 percent of them have a second higher education degree and 10 percent possess a further qualification in a third sphere. The Bulgarian female entrepreneur is sufficiently active but decides to launch a business at a more conscious age, with a measured risk and experience. The financial institutions see women as an untapped market opportunity, according to data provided by Fibank. Women are perceived as less risky players in the business, more loyal, emotional, thorough and earnest partners. Globally, up to 85 percent of all family-related financial decisions are taken by women. Women in Bulgaria are well educated – 89 percent have higher education. They are also very well informed on bank loans and EU funding schemes. In the light of the current issue of gender equality, that is at the core of European Commission’s Entrepreneurship Action Plan—a plan that sees 40 percent of jobs in the EU employed by women by 2019— there is a tendency towards the more active inclusion of women in the economic life. In this context, more women get involved in information platforms for training, seminars, and forums that to some extent fill the gaps in education. Topics such as initial financial preparation, entrepreneurship, communication, soft skills, leadership and presentation skills are unfortunately not yet covered in Bulgarian education. One of Europe's most renowned business universities, SDA Bocconi Milano is helping create valuable educational content on topics such as financing a business, building a team, leadership, and negotiation skills. Leading companies and best business schools work together to help women have full-time careers through access to business education, opportunities, and a community of successful women. The SDA Bocconi/AUBG’s Master in Finance, Banking & Real Estate offers interactive courses that aim to overcome the difference between theory and practice. The program prepares senior managers make effective decisions on operational and strategic issues. The executive master focuses on theoretical and practical knowledge, and critical and analytical thinking while emphasizing the key elements of corporate culture: a fine combination of leadership and respect for others, ethics, and appreciation of diversity, values, and solidarity. Students receive top-quality education and internationally recognized diplomas that open the door to significant career development. The training fee is 22,500 euros, but AUBG is committed to helping candidates seek partial or full funding for the program.